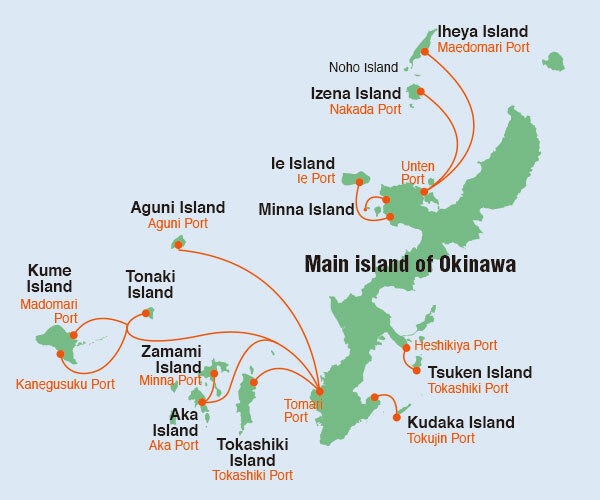 Kume Island can be accessed by ferry from Tomari Port in Naha City. There are two ferries available, both of which depart from Tomarin. 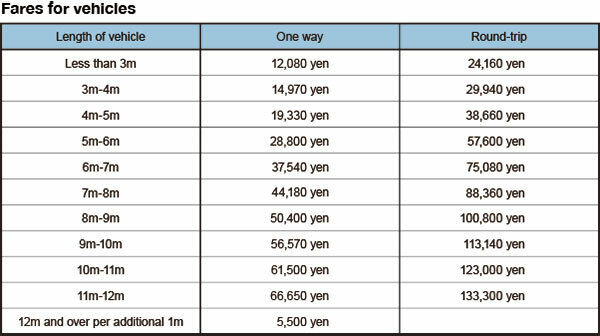 *Either Ferry Ryukyu or New Kumeshima leaves from Tomari Port at each departure time. Please note that the arrival time at Kume Port (arrival/departure times at/from Tonaki Port also) varies between Ferry Ryukyu and New Kumeshima. *Advance booking is available one month before departure date (ticket office is open 7:30-17:00). *Either Ferry Ryukyu or New Kumeshima leaves from Kume Port at each departure time. Please note that the arrival time at Tomari Port (arrival/departure times at/from Tonaki Port also) varies between Ferry Ryukyu and New Kumeshima. *Reservation required for shipping vehicles. *Early reservations are recommended as transit is on a first-come, first served basis (car capacity: 33). *Vehicle fares also include the fare for one person. *Vehicle must be cleared 30 minutes before the scheduled departure time. Please check the official website of Kume-Shousen Co., Ltd., to confirm seat availability and the latest schedule.